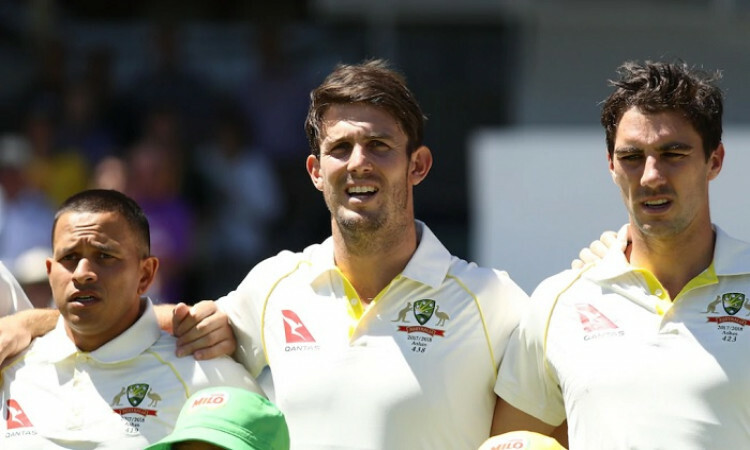 Melbourne, Dec 25 (CRICKETNMORE): Australia captain Tim Paine asserted on Tuesday that the inclusion of all-rounder Mitchell Marsh in the playing XI for the third cricket Test against India will improve the team's bowling options for the crucial contest. "It's a long series, our bowlers have had a really big workload and we feel we're going to need Mitch's bowling at some point," Paine was quoted as saying by icc-cricket.com. "The majority of this decision's been based around (the fact that) it's a long series, we've played on a lot of hot days and our bowlers have had a big workload. We believe Mitch can come in and do a really good job with the bat and obviously he'll give great support to our bowlers," he added. The four-Test series is locked at 1-1 after India won the opening match in Adelaide and the hosts drew level with victory in Perth. Marsh is the only change in the Australian line-up from those two matches. He replaces opener Peter Handscomb, who struggled against the Indian bowling. Paine however, insisted that Handscomb is still an option for the final contest of the series which starts in Sydney on January 3. "I'm sure Pete would be upset. I think he's had conversations with the selectors that there's a few things they would like him to work on and Pete is open to that," he said. "Pete at his best is going to score a lot of Test runs and not just his batting, he brings a hell of a lot to our side in terms of his fielding, his experience and just the way he generally goes about his cricket," Paine added. "Going to Sydney, a place where it normally spins, I think people come back into the fold pretty quickly because he's renowned as probably our best player of spin. I know he'll be doing everything he can to get back into the side."